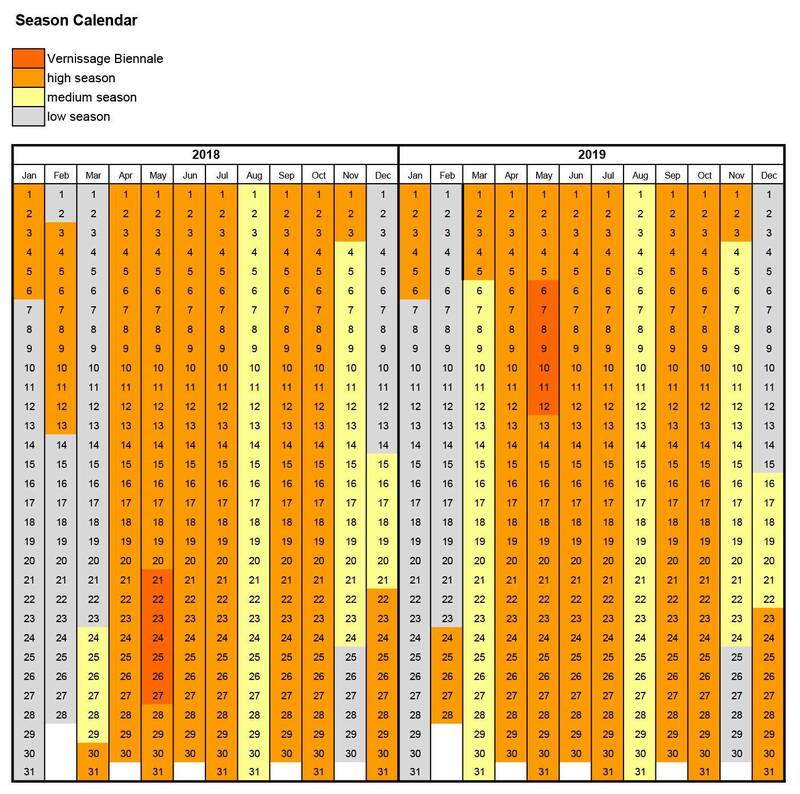 The Rental Fee is subject to change in high, medium and low season (See calendar). Warm & informative welcoming service. Security Deposit of € 400: to be paid by credit card at check-in. Tourist Tax of € 4 per person per night (to be paid for max. 5 nights), children 10-16 years of age half price, under 10 years of age free: to be paid in cash at check-in. From 9:00 to 19:00 the customer service representatives are at your disposal. Outside office hours the calls should be limited only in case of emergency. A forfeit of 10 euro of utilities per day is included, the cost in excess will be charged extra. Within these limits a comfortable stay both in summer and in winter when air conditioning or heating is turned on can be guaranteed. If tenants control energy dissipation by closing the windows, keeping the internal temperature between 20 and 22 Celsius degrees and switching off lights and appliances when not at home, most likely there will be no extra charge. The exact cost of the utilities used is calculated by reading the meters both at the beginning and at the end of the rental period. The number of energy units obtained by reading the meters will be multiplied by the average unit cost, precisely € 0,35 each Kwh of electricity and € 1 each cubic meter of gas. This procedure allows tenants to control consumption during their stay, guaranteeing fairness to the landlord, while supporting the environment by eliminating unnecessary energy usage. 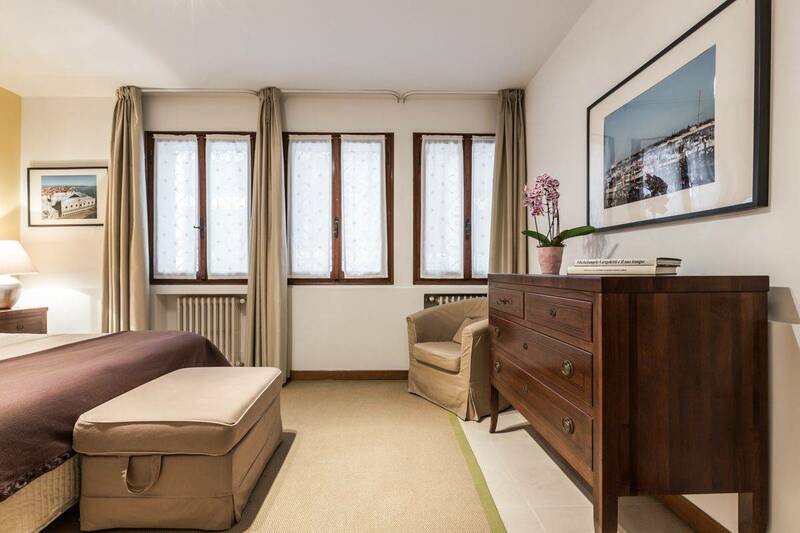 The Angelo Michele is a freshly restored ground floor apartment located few meters from the Vaporetto (ferry) stop of S. Angelo, in the San Marco District, easy to find and highly accessible. In the surroundings there are many shops and restaurants, only few minute walk and you will find the magnificent Piazza San Marco and the Rialto Bridge. 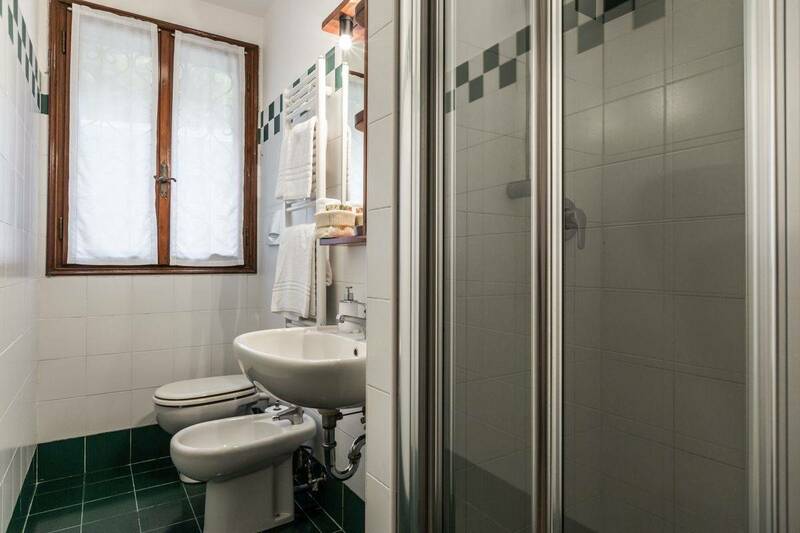 Often the guests of this apartment are surprised by the quietness of this place, being close to the main tourist attractions but in the same time found in a side street. 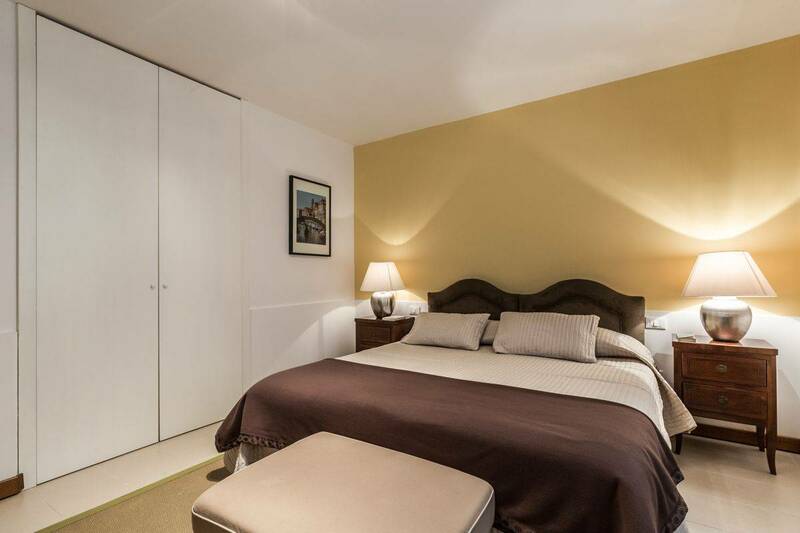 This apartment is equipped with air-conditioning, autonomous heating, Wi-Fi internet connection, washing machine, microwave, kettle and other useful appliances. 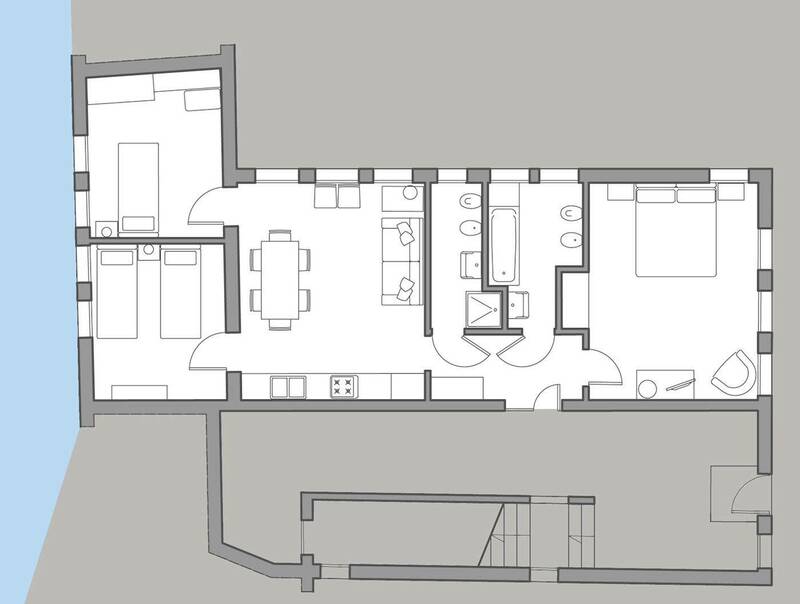 The Angelo Michele has a large double bedroom and 2 smaller single bedrooms that can be easily used as twins, plus a double pull-out sofa bed in the living room. From the smaller bedrooms there is a picturesque canal view, while from the living room the view is on a private garden. For short rentals the apartment can host up to 7 people, but we suggest a maximum of 5 guests for a comfortable or longer stay. 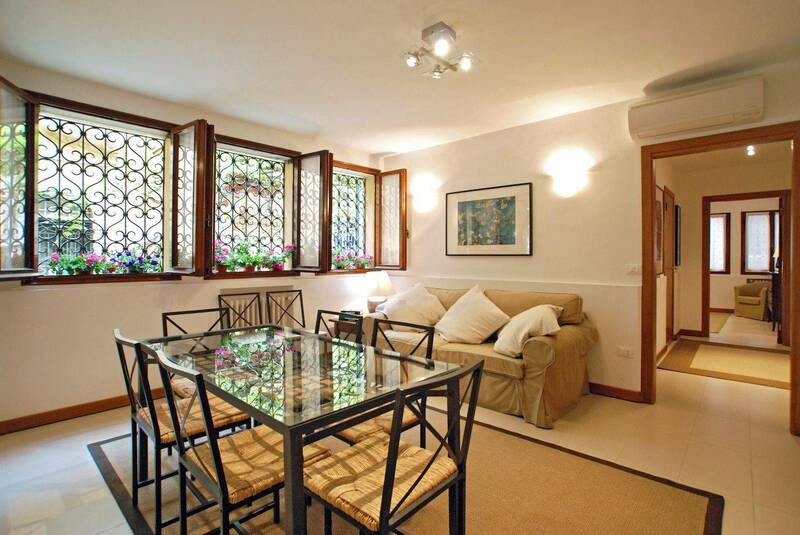 This apartment is part of Palazzo Degli Angeli, which is composed also of Angelo Raffaele and Angelo Gabriele apartments. 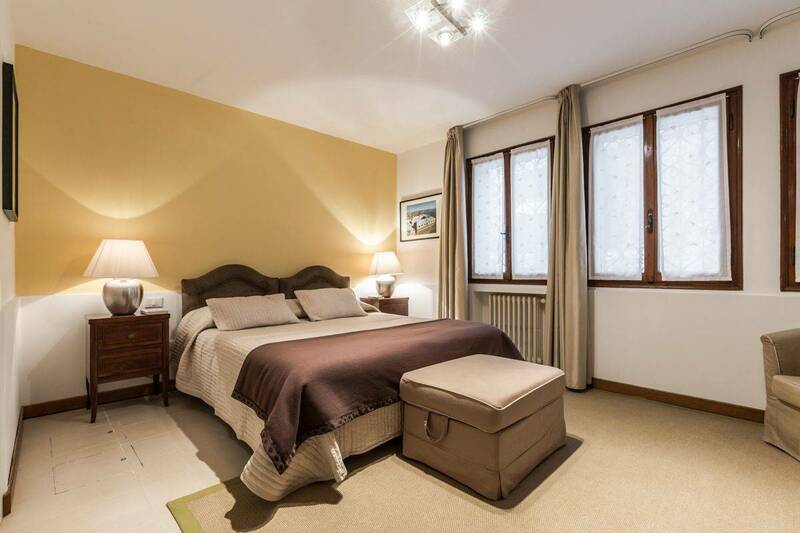 This condo is perfectly located and central to all attractions in the San Marco area of Venice as well as being a very short walk from a main vaporetto stop. Being off one of the two "main drags" makes it easy to navigate around if you are a newcomer to Venice, which we are not. The condo was clean and well maintained as well as having all the necessary amenities for a very comfortable stay. The Truly Venice personnel went above and beyond to help us secure water taxis, point out great restaurants in the area and the local grocery store. They always responded quickly in providing us with any and all info that we asked about. 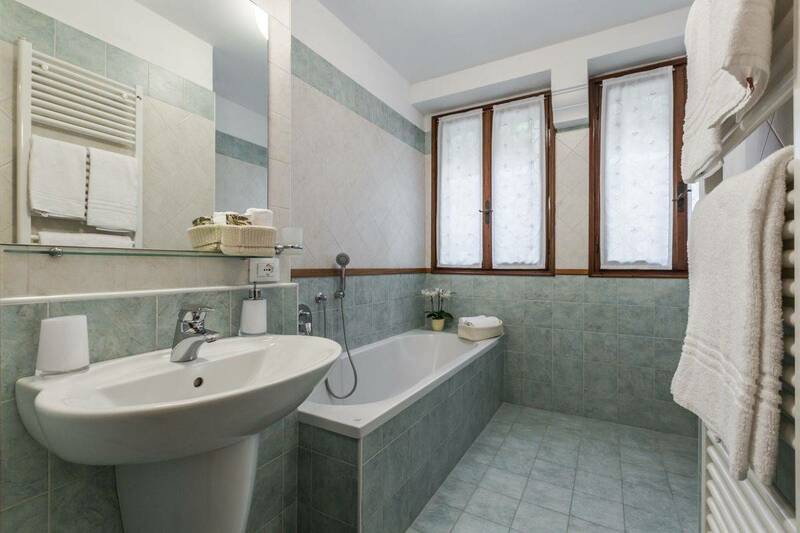 Prior to coming to Venice we had been traveling throughout Italy and we were so impressed with Thomas and the service he gave compared to the other places we stayed. He met us and walked us to the apartment, gave us restaurant suggestions that he mapped out for us and eve. Offered to make reservations if we wanted. The apartment was clean, spacious and comfortable. The location was perfect. It was a 5 min walk to the Rialto bridge, a grocery store and great shopping and less than 10 mins to San Marco Restaurants were within a 45 second walk!! LaFaluca was 1 min away and it was so good we ate there twice! There was a lovely restaurant right next door but it belonged to the boutique hotel and we were asked to leave. Views of the small canal were beautiful! 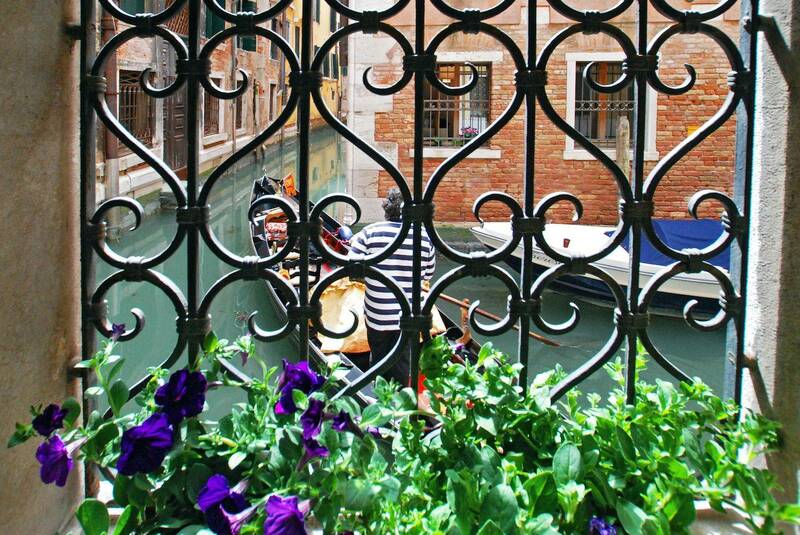 If we come back to Venice we would definitely use Truly-Venice and most likely stay here again! I highly recommend it all!! Everything worked. Had a great time, good location! Thanks for all the Truly Venice team’s help throughout. Water taxi arrangements worked smoothly, restaurant recommendations great. Apartment well-appointed. Thanks again! Convenient to local food store, vaparetto stop and Accademia Bridge. Kitchen was perfect when we cooked and 3 spacious bedrooms, 2 overlook a small canal. We spent 3 weeks here and enjoyed ourselves immensely. 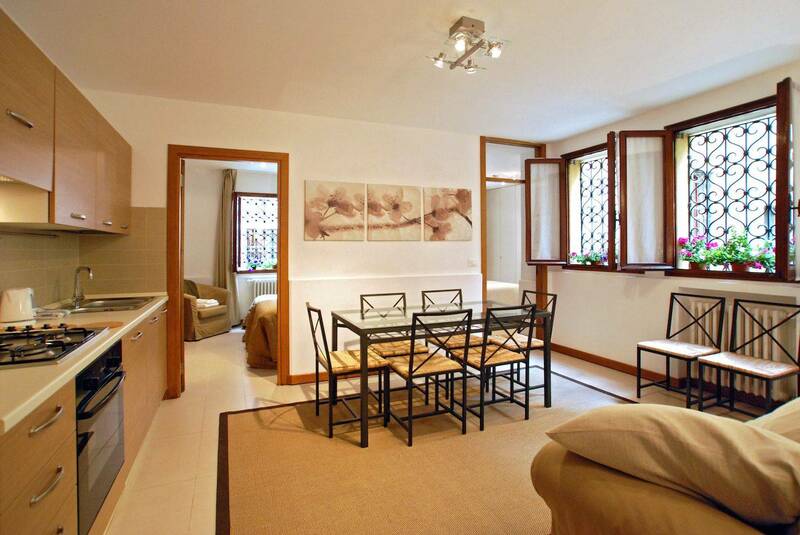 The location was great, very close walk to S. Angelo vaporetto, as well as to piazzas Santo Stefano and San Marco. The kitchen and living area were both well appointed and comfortable, and separated the main bedroom from the two smaller ones, providing a little bit of added privacy. Being on the main floor of the apartment, it was at times a little bit noisy when "loud" guests were coming/going. Great apartment. 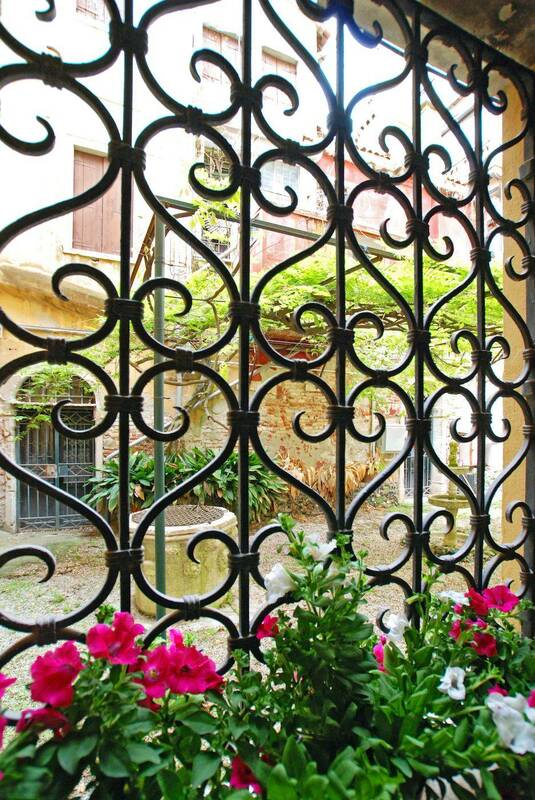 The apartment was well located right in the cntre of Venice, but in a quiet spot. The apartment was comfortable and well appointed. Very happy and would use it again. Cozy apartment in the heart of Venice We found the apartment location very convenient, it's just steps away from shops and restaurants and also the biggest sights are close by. The apartment was spacious and comfortable, the pictures on the site are quite accurate. Renting the apartment was smooth and easy, the service was friendly. No complaints! Heaven in Venice Just perfect apart from TV with no English channels. Spotlessly clean and well laid out. Master bedroom away from other smaller bedrooms. Close to everything, right in the middle of all the action. Quiet on ground floor and no steps, praise the lord! Loved the aC as it was very hot when we were there. Cheap too, compared to many other places. Tell us how your stay was!